You may be someone like Jairus who has always had a good standing in the community; been at your job for a long time; married for many years or you may be like the woman who has had issues in her life for many years. One was someone who by all accounts had it all together in the eyes of others; the other was visibly ill and was required by law to cry out unclean so that no one would come close to her and possibly become ill themselves because they touched her by mistake. Some of us can relate to Jairus; we’ve got it all going on or so it seems; life looks good on the outside but we are unable to stop what is dying in our lives; we are hopeless and cannot change our situation on our own. Others of us look in the mirror and we see a good for nothing addict/alcoholic who visibly is tore up from the floor up, beat up from the feet up, jacked up from the back up and needing a check up from the neck up; we may as well walk through life crying out "unclean!". We have the scars of a life from using and drinking that have ruined our health, our smile, our confidence and our hope. The prospect of work and a place to lay our heads at night is but a distant dream; it may seem like we will die a hopeless addict/alcoholic. There is a solution and His Name is Jesus Christ. There is hope in Christ; there is healing in Christ; there is wholeness in Christ. There is FREEDOM in Christ. The Big Book reminds us that God could and would if He were sought. 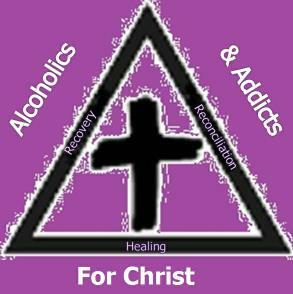 We are a Christ centered 12 step program; first and foremost we use the Bible as the source for our recovery and we use the 12 steps of Alcoholics Anonymous. We pray for others in our meeting who desire and ask for prayer for themselves or for others. We do talk about God and His Son Jesus Christ and are not ashamed to bring biblical truths into our group meetings. If you have decided that you want what we have then come and be a part of what God is doing in the lives of hopeless alcoholics and addicts and find hope for your hopeless condition. To God be the glory! "Drinking wasn't my problem, it's what I did about my problem."